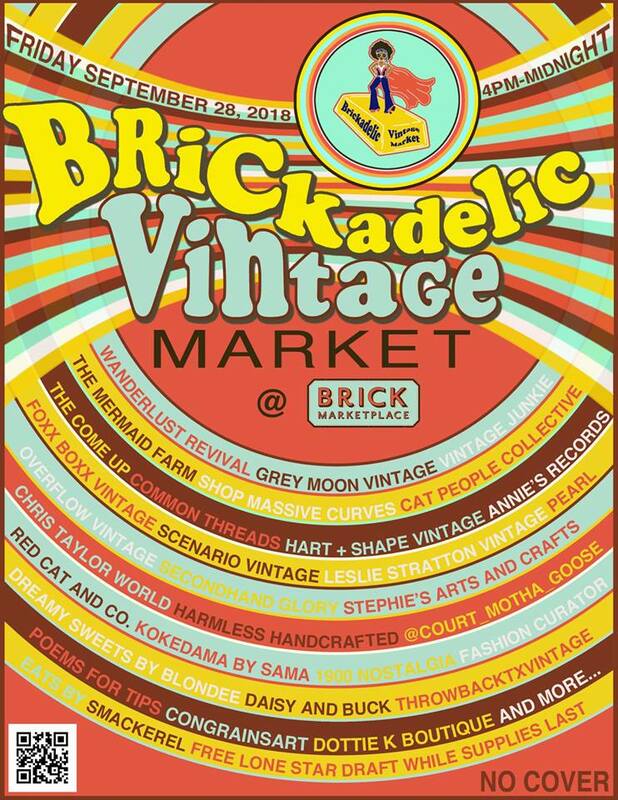 Join us Friday September 28th 4pm-Midnight for BRICKADELIC, Brick at Blue Star Arts Complex's inaugural vintage market brought to you by The Mermaid Farm and Wanderlust Revival. San Antonio is home to some of the most creative vintage collections and artisans in Texas, and we're bringing them more than 30 of them together for a stellar night of vintage shopping, art, drink specials and good vibes. Need a break from all the awesomeness? Hang out at the Brickadelic Lounge in Cube at Brick, featuring the art of Messican Art, Michael Esparzaand Jessica Marie Leak. FREE LONE STAR DRAFT WHILE IT LASTS!